Product #21518 | SKU LAPS111 | 0.0 (no ratings yet) Thanks for your rating! 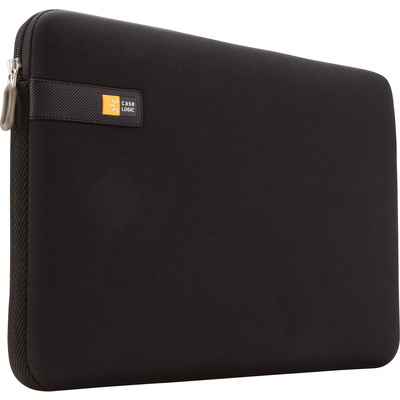 The black Netbook Sleeve from Case Logic is designed to hold most 10.6 to 11.6" netbooks. It's a seamless, top-to-bottom Impact Foam-padded sleeve made from EVA (ethylene vinyl acetate). This protective sleeve features a zippered closure along the top, as well as textured woven webbing along the edges. At only 0.13 kg, this lightweight sleeve can be carried on its own or stashed inside your larger shoulder bag.